As a visitor to Israel, it can be a little bit overwhelming keeping track of the different restaurants opening and closing, even more so when you are searching for a restaurant with a Succah. Here are my suggestions for kosher restaurants around Israel where you can find a good meal in a nice Succah. There are definitely more choices in Jerusalem, but there are also some great options in other cities. Mamilla Mall is always incredibly busy during Succot with people visiting the kotel, but all the cafes and restaurants have a Succah, so there is plenty of choice. Most of the options have a pretty average offering of both food and service, but Luciana and Happy Fish both have a very large Succah. For the ultimate “Jerusalem” setting, Rooftop Restaurant, Mamilla Hotel is a great Succah experience, with delicious food and an incredible view – full review here. La Regence For those looking for truly creative kosher dining, the tasting menu at La Regence is a unique experience. As you would expect from The King David Hotel, the service is efficient and attentive. The restaurant will have its own Succah – full review here. Kikar Hamusica is the perfect choice over Succot as they have one large Succah in the middle of the square, used by all the restaurants, with musical performances taking place from lunchtime until the evening. All the details of the various concerts are on their website. My personal recommendation would be Kinor Bakikar for a juicy steak and Gourmandises by Yoel for authentic French dairy food – full review here. Anna Italian Café in Ticho House is a delicious Italian restaurant in a beautiful setting – my favorite dairy restaurant in Jerusalem. Anna will have a Succah on their front balcony overlooking the garden. – click here for a full review. Harvey’s Smokehouse opened earlier in the year in place of Gabriel, by the same owner, Harvey Sandler. The US style smokehouse signature dishes include popcorn chicken, Kansas style burnt ends and cherry wood smoked asado. It has the advantage of being on a pedestrian street so the Succah is spacious, comfortable and beautifully decorated. Angelica also has a wonderful courtyard for the Succah and the restaurant itself has a lovely varied menu and great service. The 1868 restaurants will all have a Succah. 1868 offers a creative, high-end dinner (full review here), while Zuta Cocktail Bar has an incredible drinks menu with a delicious bar menu (full review here). The newest member of the family, JLM Local Sushi serves a number of Asian cooked dishes, as well as sushi and sake (full review here). Valero is a relatively new kosher restaurant in the shuk area and the menu is curated by Chef Aviv Moshe. In general it seems to be more popular with Israelis than tourists but they do have some interesting dishes on the menu and will have a Succah outside the restaurant. Most of the hotels in Jerusalem have a spacious Succah and are also open to outside guests, including Orient Jerusalem, Inbal, Mamilla Hotel and David Citadel. Despite being on a rooftop, Blue Sky by Meir Adoni in the Carlton Tel Aviv Hotel will not have a Succah, but there will be a Succah on the hotel terrace by the beach, with food from Lumina by Meir Adoni and Esperanto Bar, which has a dairy Greek style mezze and bar menu, will also have a Succah overlooking the sea. Malka is Chef Eyal Shani’s first kosher restaurant in Israel. The menu is creative and with some delicious combinations. 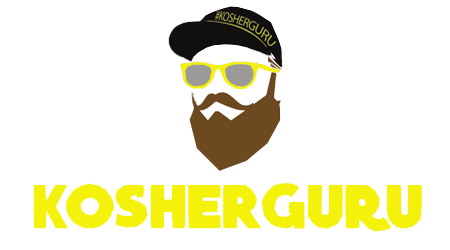 It is not for everyone but definitely worth trying if you are looking for a unique kosher experience. They have a large outside area which will include a Succah. Mapu by Nir Zook in the Prima City Hotel will have a large Succah on the terrace outside the restaurant. Al Hamayim on Sharon Beach in Herzliya Pituach recently became kosher and will have a Succah. The menu includes a variety of dairy and fish dishes, along with an extensive sushi selection. Souvlaki in Netanya is one of the only kosher restaurants on the beach. As well as meat dishes, the menu includes traditional Greek dairy dishes, using parev versions of feta and yogurt. The restaurant will have a large Succah with space for 50 people. Meat fans will be delighted to know that Gillis Steak House on Moshav Nov in the Golan will be open over Succot. They will be open for 2 hours sittings over chol hamoed at 2, 4, 6 & 8pm and 12-3pm on Friday – full review here. Beit Haugot (Mehadrin) is an incredible dairy café in the garden of a house near the Hula Valley Nature Reserve. The service is warm and friendly and the food is fresh and tasty. It is only open during the day so be sure to call and book – full review here. 5th Avenue is a newly kosher restaurant in Eilat, with a creative menu and fun ambiance. The restaurant will feature a Succah in the courtyard – full review here. 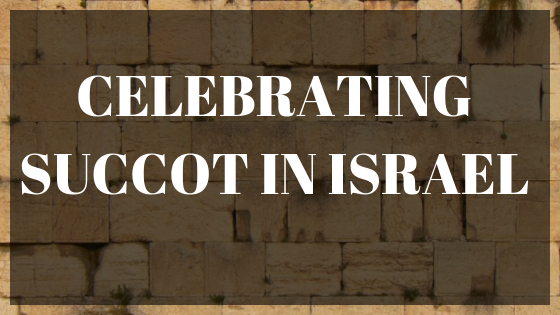 I hope this has given you some ideas of where to eat over Succot in Israel. In order to write this before Succot starts, I am basing some of the information on my experience in previous years or information I have received from the restaurants themselves. Debbie Kandel is a food writer for The Jerusalem Post and her own personal blog, Debbest Israel. She also manages two Facebook groups for restaurant recommendations in Israel, Restaurant Club Jerusalem and Restaurant Club Israel. Debbie has been living in Israel for 10 years but is originally from London. She works in marketing and business development for a large international law firm.